Mix the oil, vinegar, sugar and thyme in a dish and add the sliced, raw beetroot. Leave to marinate in the fridge for at least 2 hours or preferably overnight. Slice the goat's cheese roll in two (horizontally) and grill under a hot grill for around 2-3 minutes or until the goat's cheese turns soft and slightly browned. In the meantime; fry the pine kernels in a dry frying pan until they start to brown. Take out of the pan when ready, or they will burn. Take the beetroot out of the marinade (keep the marinade!) and divide between 4 plates. 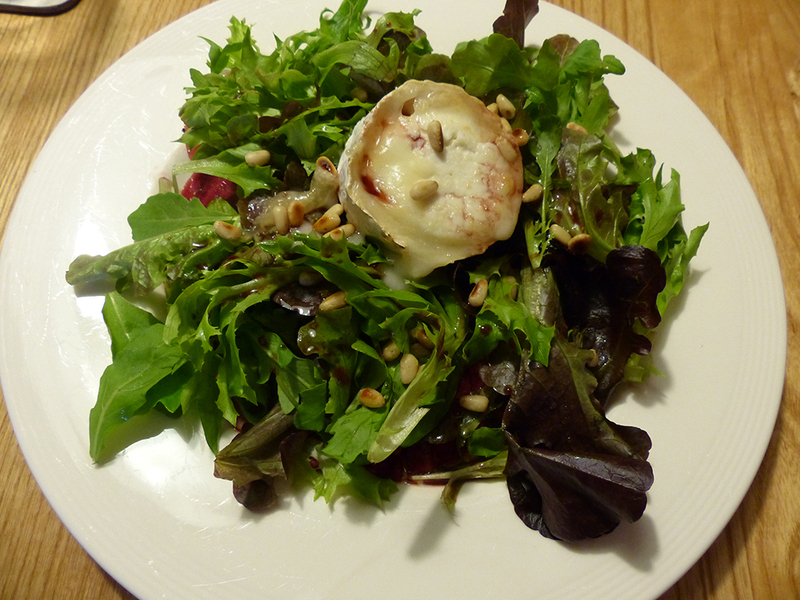 Top with the organic rocket salad, a round of goat's cheese and drizzle with the remaining marinade. Sprinkle over the pine kernels and serve.